The ultimate book for curious kids who love to learn, with more than 1,000 facts on favourite topics such as animals, dinosaurs, space, science, and history. DKfindout! 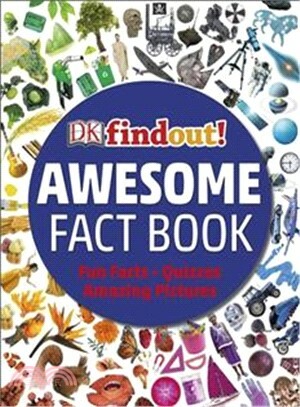 1,000 Awesome Fact Book is the perfect kids book for any child with a desire to learn new and exciting things. Packed full of astonishing pictures, there are intriguing facts to read and fun to be had on every page. Children will discover amazing and bizarre facts such as which shark glows in the air, how busy the body really is, when a dinosaur travelled into space, and so much more! Children can then challenge themselves and their friends with the entertaining, info-filled quizzes. This amazing compendium of facts will satisfy and intrigue any child who is eager to learn and discover - and keep them coming back for more!